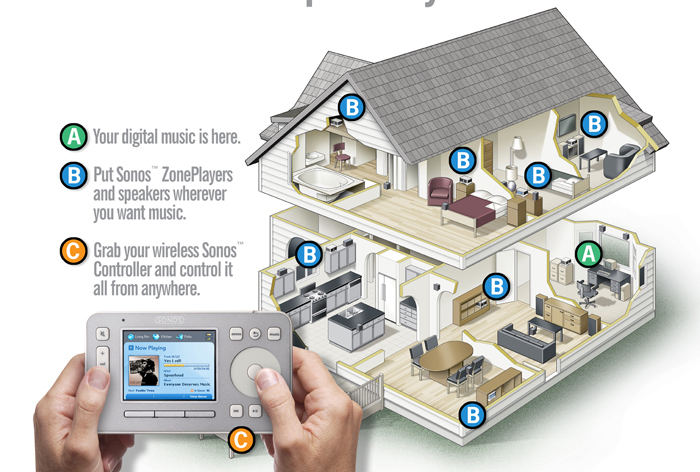 Today’s A/V and home control systems are far more complex than they were even five years ago. One of the biggest shifts has been the integration of almost every major component with the Internet. We live in a world of constant communication with our computers, phones and tablets. Even our A/V devices need to communicate with manufacturers for firmware updates. For all this communication to happen, it requires a home network and most homes will need a combination of wired and wireless communication. Systems integrators still believe the most reliable connection is wired and will advise their clients to keep major systems such as whole-home A/V, climate control and security on the wired network. 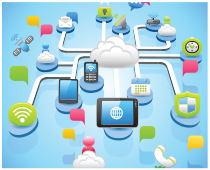 However, for various devices to interface or share content and information in the Cloud, a wireless connection is equally necessary. It’s really not an either/or situation, you need both and they should be as robust and stable as possible. The one device that is now the most indispensable component is small, and probably rests in a closet or equipment rack somewhere. You don’t see it or really think about it on a daily basis but without it you’d be stranded, figuratively speaking. The router has become the most critical component in our homes, capable of allowing us to connect to other computers, smartphones, tablets, our A/V gear and the Internet. At first, routers were only wired and allowed us internet access. Then we were able to download firmware to devices like A/V receivers and Blu-ray players. Now, we need them so that all our various devices can communicate either with each other or to the outside world. However, all this traffic on the lines can bog down your router if the bandwidth isn’t sufficient. In an average smart home it’s not uncommon for someone to be streaming a movie from Netflix in the main TV room, while someone is using Skype on their computer to speak with a friend across the country, and someone else is using their tablet to update their Facebook and Twitter feeds while browsing the Internet. If your router is easily burdened with just this amount of traffic then you definitely need more bandwidth. Your home network consists of whatever networking and routing equipment your service provider has installed. Just because this equipment was originally installed by a professional doesn’t ensure it’s adequate based on today’s needs. Even if it was installed just a couple of years ago, there’s a lot more technology today that relies on the connection your router provides. Maybe you have your own router, but is it up to date with the latest internet protocols, ensuring the fastest possible connections? Today the home network is at the core of every subsystem in our home. If you find that no matter how much you pay for online service through your service provider it continually gets bogged down with spotty or slow connections, then the problem is most likely your networking equipment. A certified systems integrator can replace that basic equipment with a more reliable and robust networking solution. It will not only improve the overall performance of home control, streaming, chatting and more, but it will ensure you have the necessary bandwidth for whatever the future may hold, because we know that we will depend on content in the Cloud more and more as time goes on.